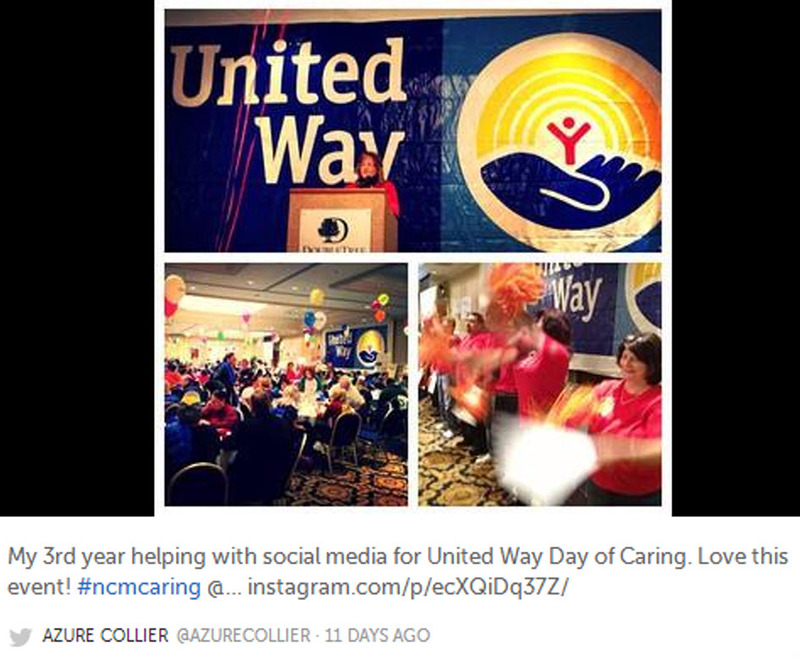 I recently volunteered with the social media marketing for my local United Way’s Day of Caring for the third year in a row. If you haven’t heard of this event, it’s a day-long volunteering event where United Way chapters pair employees of local businesses with service projects at local nonprofits. I’ve written about volunteering for them before, and focused on how nonprofits can use social media to promote their events. This year I noticed more social media participation from volunteers, which is key for nonprofits. Their volunteers are their biggest supporters, and social media provides an easy way for them to create social visibility for nonprofit causes. What did we do this year to encourage conversation? 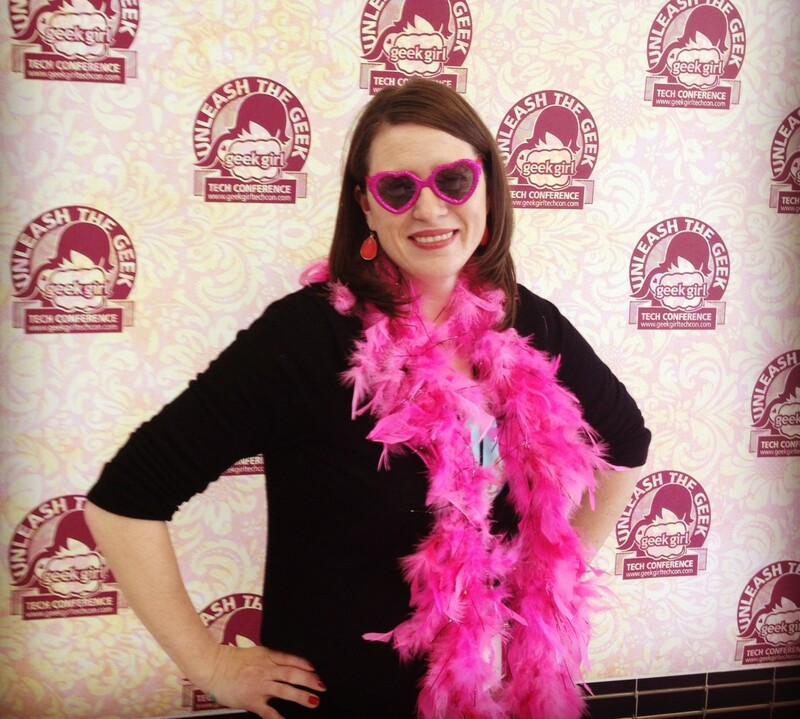 Check out these tips to get volunteers to share your event on social media. My Instagram college from the Day of Caring kickoff. Over the last 3 years, we’ve become more vocal to volunteers about sharing their day on social media. Don’t just assume that people will take photos and post them or tweet using your event hashtag. Tell them to do it. Encourage them. The event kickoff is a great place to plant the seed. We add it to the “housekeeping” portion of the event kickoff speeches. Everyone is listening to instructions at that time, so we will list Facebook and Twitter URLs and the event hashtag on the screen, and our speaker will hold up their smartphone and reassure volunteers that they can and should use them during the day. The Day of Caring involves more than 600 volunteers at 62 project sites. Throughout the day, the sites are visited by project leaders, United Way staff and volunteer photographers. The organizers and photographers remind the volunteers – many of whom are already capturing their day with their smartphones – to share their experience on social media. And the volunteer photographers remind them that their photos can be found later on the United Way Facebook page. When I posted the event’s photo album on Facebook, I tagged businesses, nonprofit agencies who have Facebook pages, and any people that I was personally connected to as friends. They’ll all get a notification that they’ve been tagged. The tagging and any activity they create when they check out the photo album will be seen by their friends in the newsfeed, and that creates social visibility among their networks. 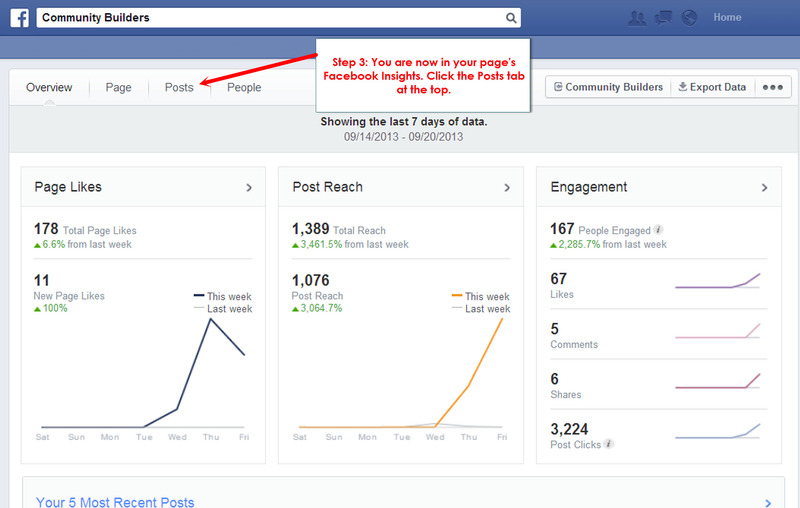 One of the best updates to Facebook Insights has been the When Your Fans Are Online stats. 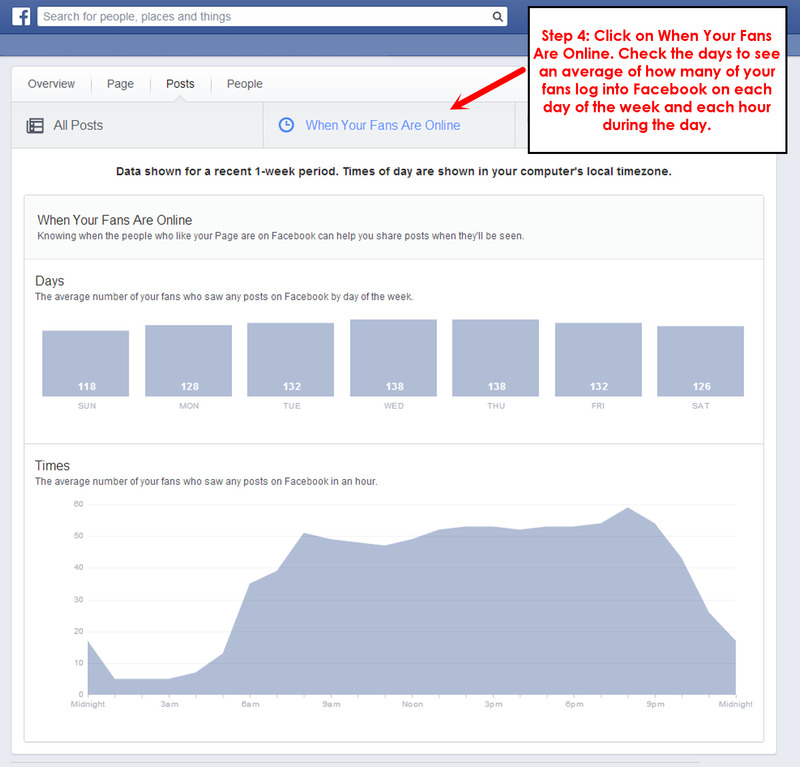 This tool looks at your fans over the most recent week, and determines the average number of your fans who are using Facebook on each day of the week and each hour of the day. The Day of Caring took place on a Thursday, and Facebook Insights showed me that the highest number of fans were online at 9 pm on a Thursday. That’s when I shared the photo album and got great results – our content got 52 likes, 18 comments and 8 shares. One great way to capture the conversation online during your event is to create a Storify story, which is a collection of social media content from Facebook, Twitter, Google+, Instagram and more. You can do a search for your event hashtag and save all the public content that’s been posted. 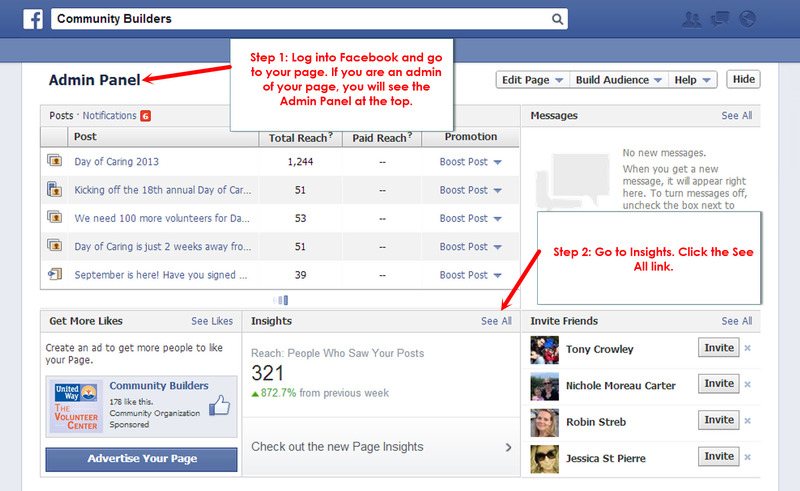 When you publish your story, you can also notify the people you quoted that they are mentioned in your content. 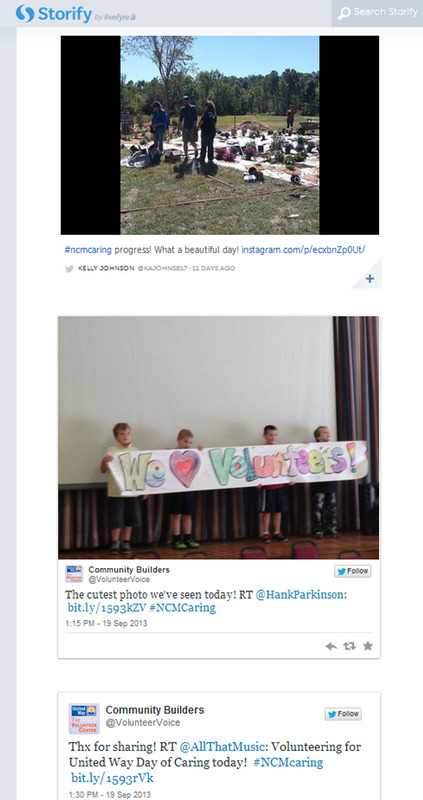 Here’s a partial screenshot of the Storify story I created for this year’s Day of Caring.